This sample flash has been painted with watercolour. 1 X Motor tattoo machine. Silent machine motor, with high efficiency color painted. 2PCS Face Facial Hair Spring Remover Stick Epilator Threading Beauty Tool ED. Computer Accessories. 6 Ft Silk English Ivy Garland Wedding Artificial(garland) ED. Bought this spekta x for a back up machine and hardly ever use it. Great machine all around, w adjustable give for different uses. I used it for lining, soft shading, and packing. Custom Built Coil Tattoo Machine - Shader. Condition is Used. Shipped with USPS Priority Mail Flat Rate Envelope. The front cover flash design of this issue is by "jerry lindley" of Athens. this magazine was published by the tattoo club of great Britain, in oxford England. the magazine is fully printed in black and white. I am a Tattoo Artist with more than 16 years of experience. Tattoo Machine Rotary Direct Drive Handmade. Stroke - 3.5 mm. Universal stroke ( in my opinion) for Lining, Shading or Coloring. Use a quality Power Unit and a quality Clip Cord. SOLID BRASS BINDERS,CUSTOM COIN TUBE VICE SCREW. BORDER TATTOO MACHINES. HANDMADE PROFFESIONAL TATTOO MACHINS. BORDER TATTOO MACHINES. HANDBUILT PROFESSIONAL TATTOO MACHINES. MACHINE IS SET AS A CUT-BACK LINER LONG THROW, RUNNING LOADED AT 51%-DUTY, 124HZ-SPEED, 7.30 -VOLTS. HIGHEST UK QUALITY MATERIAL SOURCED. Spulen 10Wrap (8/10Wrap Mix bei Evo). Farbe Chrom oder Schwarz (gerne nach Wunsch). Nadelstangenhalter für Standardnadelstangen. Herzstück des Sets ist eine hochwertige Spulenmaschine mit erwartungsgemäß sehr hochwertiger und langlebiger Qualität. Cast Iron Tattoo Machine By Superior Tattoo. Don’t miss this one. Tube and grip are included. Sales of authentic hummingbird and big wasp here since 2012. Big wasp Machine. Over 200 machine's sold. As they are sold - ones with a minor surface imperfection are not sent out as perfect and listed here. RYAN SMITH TATTOO MACHINE RINGER SHADER. SPRINGS- HAND CLIPPED FOR SHADER. TYPE- SHADER. THIS IS A FANTASTIC VERSITILE MACHINE, THAT DOES THE JOB AND DOES IT WELL. HANDBUILT WITH THE BEST QUALITY MATERIALS AVAILABLE. 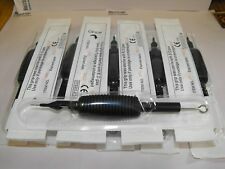 Hand Poke Tool gerade für flache Nadeln. - für flache Nadeln. SOLID BRASS BINDERS CUSTOM TUBE VICE SCREW. BORDER TATTOO MACHINES. HANDBUILT PROFESSIONAL TATTOO MACHINES. MACHINE IS SET AS A CUT-BACK LINER LONG THROW, RUNNING LOADED AT 50%-DUTY, 116HZ-SPEED, 8. CUSTOM HAND BUILT ROTARY BRASS TATTOO MACHINE ,FULLY ADJUSTABLE CAM FROM 1-8 mm SWING FOR ALL TATTOO NEEDS,RUNS OFF R.C.A. 4-12 volts,FITTED WITH TOP END MAXON MOTOR ,215 grams,can be used with both standard and Catridge needle set up, TOTALLY SILENT RUNNING HARD HITTING,VERY NICE MACHINE RUNS SWEET,YOU WILL NOT GET A BETTER MACHINE !CHECK OUT MY OTHER M/CS.p.s. check my feedback!! Dragonhawk Mast Pen Rotary Tattoo Machine Power Supply (read description). New but packaging has been opened. Comes with what is pictured. CUSTOM HAND BUILT ROTARY BARLEY TWIST BRASS TATTOO MACHINE ,FULLY ADJUSTABLE CAM FROM 1-8 mm SWING FOR ALL TATTOO NEEDS,RUNS OFF R.C.A. 4-12 volts,FITTED WITH TOP END MAXON MOTOR ,215 grams,can be used with standard and cartridge needle set up,TOTALLY SILENT RUNNING HARD HITTING,VERY NICE MACHINE RUNS SWEET,YOU WILL NOT GET A BETTER MACHINE !CHECK OUT MY OTHER M/CS.p.s. check my feedback!! BORDER TATTOO MACHINES. HANDBUILT PROFESSIONAL TATTOO MACHINES. HIGHEST UK QUALITY MATERIAL SOURCED. I have never seen another like it. I am a Tattoo Artist with more than 16 years of experience. 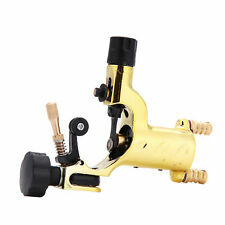 Tattoo Machine Rotary Direct Drive Handmade. Stroke - 3.5 mm. Universal stroke ( in my opinion) for Lining, Shading or Coloring. Use a quality Power Unit and a quality RCA Cord. Tattoomaschine INKgrafiX® "IG-DR1". Diese INKgrafiX®-Maschine der gehobenen Klasse wird in einer edlen. Obwohl durchaus noch im bezahlbaren Bereich angesiedelt ist die Maschine sehr geeignet für hochwertige Tattoos, vor allem da sie über eine hohe Laufruhe verfügt, was speziell beim Linien ziehen, aber auch beim Füllen und Schattieren/Färben sehr wichtig ist! BORDER TATTOO MACHINES. HANDBUILT PROFESSIONAL TATTOO MACHINES. MACHINES ARE ALL BENCH RUN FOR 1 HOUR PRIOR DISPATCH AND FINE TUNED TO ENSURE PERFECT. HIGHEST UK QUALITY MATERIAL SOURCED. I am a Tattoo Artist with more than 16 years of experience. Tattoo Machine Rotary Direct Drive Handmade. Needle stroke - 3.5 mm. Universal stroke for Lining, Shading and Coloring. Use a quality Power Unit and a quality Clip Cord. These are rare classic collectable flash sheets. these sheets are on paper. all of these sheets have yellowing, staining, writing, tipex, black damp marks, tears and other age related marks on them as well as price stickers. Technical hybrid tattoo machine soft shader. this machine is serial numbered 8434. this machine is in beautiful condition and runs perfectly. This is an original 1980 production tattoo flash sheet by Peter Davidson of Australia. this printed flash sheets would have been sold to artists as simple line drawing and the artist would have coloured it by themselves to suit, this sheet is uncoloured. This machine is a solid daily runner that wont let you down. this machine is in excellent condition and runs perfectly, all original parts. 1x koi carp flash sheet by "roy proudlove". the roy proudlove sheet has tape around the edges and tears, creasing, and is very yellowed and grubby and also has been drawn on the back of the sheet. (see pic 6). SOLID BRASS BINDERS. BORDER TATTOO MACHINES. HANDMADE PROFFESIONAL TATTOO MACHINS. Macchina rotativa per tatuaggi. Il design leggero di questa macchina per tatuaggi ti consente di lavorare a lungo senza sforzare il polso. la macchina professionale può fare ogni lavoro del tatuaggio sia SHADING o LINING. This machine is in beautiful condition and runs perfectly. This particular edition is in a Spiral-bound format. This books publish date is Jan, 1996,It was published by Proteus Press. Softcover, double sire spiral binding, 64 pages, over 250 b/w photos. Introduction by John Stuckey. SHADER 7-9V. 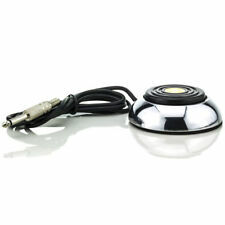 see my other tattoo bargains,AND FULL RANGE OF SET UP AND TUNED TATTOO MACHINES. BORDER TATTOO MACHINES. HANDBUILT PROFESSIONAL TATTOO MACHINES. MACHINE IS SET AS A CUT-BACK LINER LONG THROW, RUNNING LOADED AT 53%-DUTY, 100HZ-SPEED, 7.30 -VOLTS. HIGHEST UK QUALITY MATERIAL SOURCED. BORDER TATTOO MACHINES. HANDBUILT PROFESSIONAL TATTOO MACHINES. MACHINE IS SET AS A CUT-BACK LINER LONG THROW, RUNNING LOADED AT 56%-DUTY, 120HZ-SPEED, 7. HIGHEST UK QUALITY MATERIAL SOURCED. Condition is Used. You can not buy these machines anymore. The tube and grip are included. Several custom pieces are on this machine. This machine is serial numbered 8003. this machine is in beautiful condition and runs perfectly. A Burgundy Cross Tattoo Machine By Superior Tattoo Vintage Collectible.